Coat Care Products: Grooming brushes, shampoos, mane and tail conditioners etc. Hoof Care Products: Hoof oils, hoof greases, hoof hardeners, poultice boots etc. First Aid Products: Wound creams, Hibiscrub, Leucillen, gamgee, bandages etc. 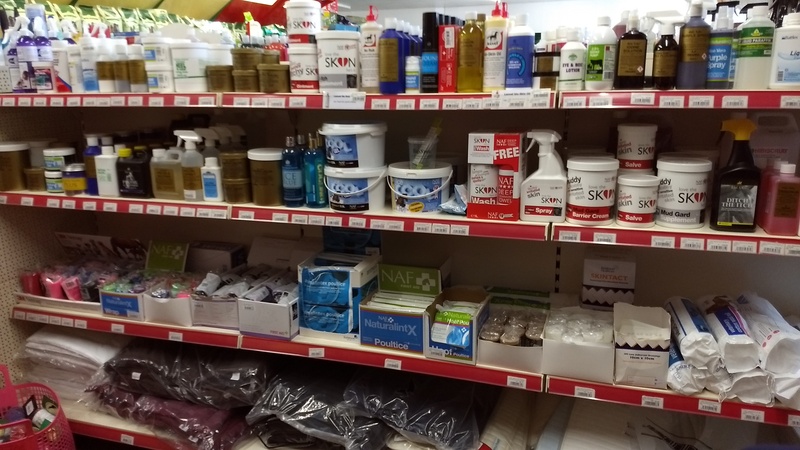 Tack Cleaning Products: Saddle soap bars, soap sprays, leather balsams, sponges etc. Embrocating Products: Leg ice clays and gels, lavender wash, arnica gel, cool boots etc. Seasonal Products: Fly repellents, sweet itch creams and lotions, mud fever products, lice control products, sun creams etc. 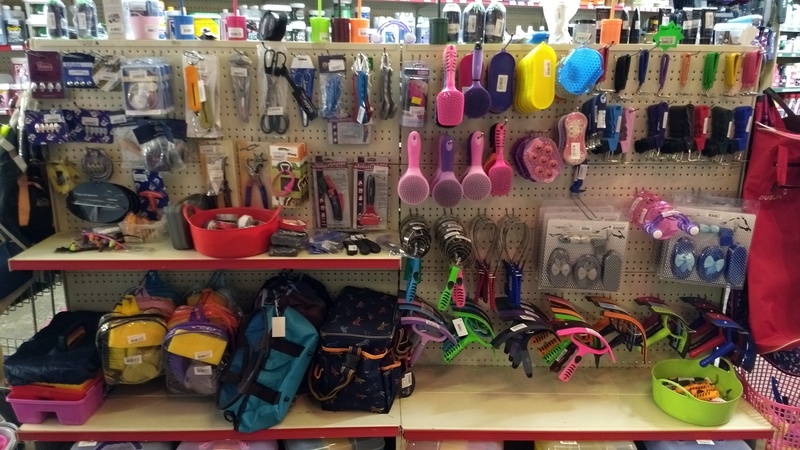 Grooming Brushes and Kits: Various colours and types to mix and match inc sets. We also stock a large range of supplements to add to your horse’s feed including a range of homeopathic remedies. If we don’t have the specific product you are looking for please ask as we are more than happy to order it for you. At Denne Country Stores we have 2 qualified SQPs who are trained to be able to prescribe horse wormers*. Worming horses is a complex subject and every horse is different so ensuring the right wormer is used at the correct time for each horse is vital. 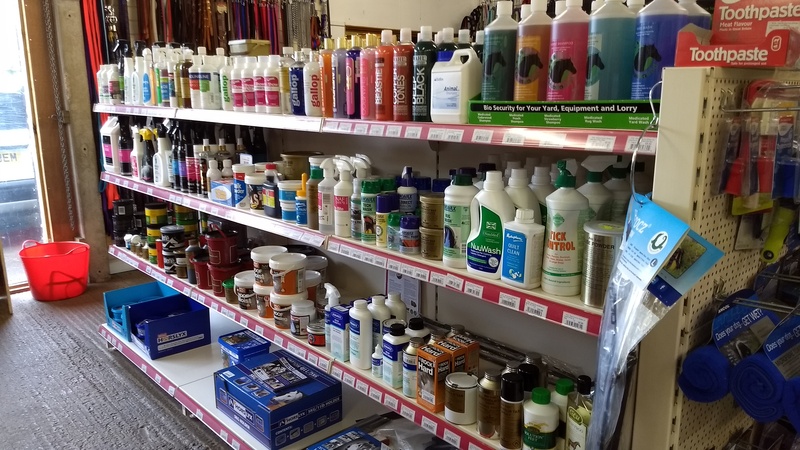 We stock a variety of major brands of wormers and one of our SQPs is always in store to prescribe the correct wormer for your horse. We also sell weigh tapes which are strongly recommended to be used when worming horses so that you can be as accurate as possible when administering wormers. Worm count kits are another type of worming product we sell. They are, if the situation is suitable, recommended to alleviate unnecessary worming of a healthy horse, which is not only good for your horses but also helps save some money! *Our SQPs are also qualified to sell Dog and Cat parasite control. See our Pet pages for more details.